I don't recall last year's sales were this spectacular. Right now, it's the tail end of the winter sales season and retailers are desperately trying to get rid of their old stock to make way for the Spring/Summer collection. I've picked up bargains after bargains with discounts up to 85% off and an additional 10-25% on top of huge markdown. There's also buy one at 50%-75% off and you get another sale item of your choice for free. Insane. I've stocked up Little L's wardrobe for the two years. At his parents' request, I've purchased an entire wardrobe for my nephew, Little Z at 75%-80%. With the prevalence of online shopping, it's incredibly easy to click and buy. The temptation's too great when the little ones are asleep (finally!) and you go online and shop to your little heart's content. I've been on the hunt for a biker leather jacket for 2 years now. I've tried jackets from Acne, Doma, Vince, Ted Baker, Topshop (APPALLING quality!) and several other High St brands with no success. I can't deny I have a hankering for either a Balenciaga or Rick Owens leather jacket (I'm not fussy) but £1500 is out of my price range. I've avoided going near stores that carry them lest the temptation is too great. 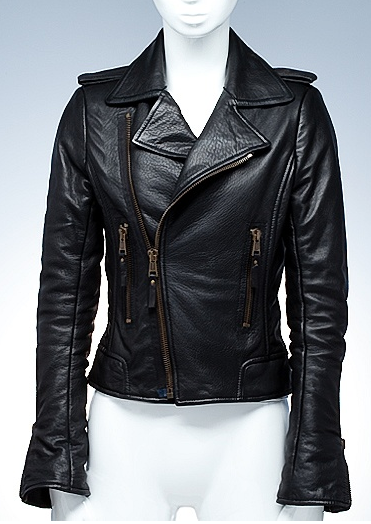 Anyway, while I was checking out a blog, I came across a review on All Saints leather jackets. I've never ventured into an All Saints store because the dark and gloomy deconstructed look isn't my cup of tea. I scrambled to call them and yes (! 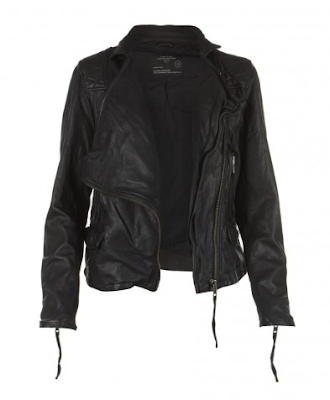 ), they have one last motorcycle jacket in UK size 8 left at an incredible discount. The quality is astonishing considering its price point. It's made of Italian washed lambskin and lined with 100% cotton. I love that it molds to my body comfortably. Most importantly, it makes me feel like a badass rocker girl (a desperate attempt to re-live a my teenage years).